Sometimes, your website may get a flood of traffic, visitors or customers and your support agents may have a tough time attending and answering all the chats. If you do not have the infrastructure or support system to address excessive chats, you can use Conversion Support’s “Overflow handling” feature and let our support operators answer chats on behalf of you. Overflow handling frees your support operators from the overhead of taking chats. 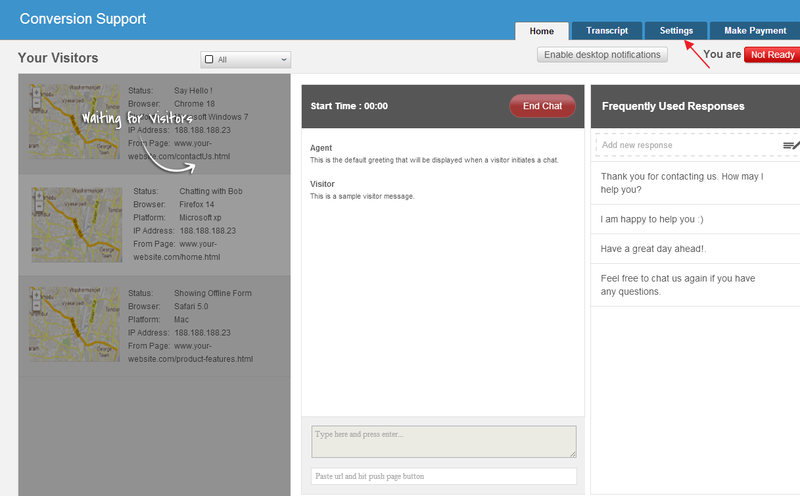 Using Overflow handling, you can let our agents take chats on behalf of your business. 1. Login to Conversion Support and go to the “Settings” page. 2. On the “Settings” page, click on “Overflow” handling in the left sidebar. 3. Under “Overflow”, you will find options to either “enable” or “disable” the Overflow feature. Please note that “Overflow handling” is disabled by default and you have to explicitly enable this feature in order to avail it. 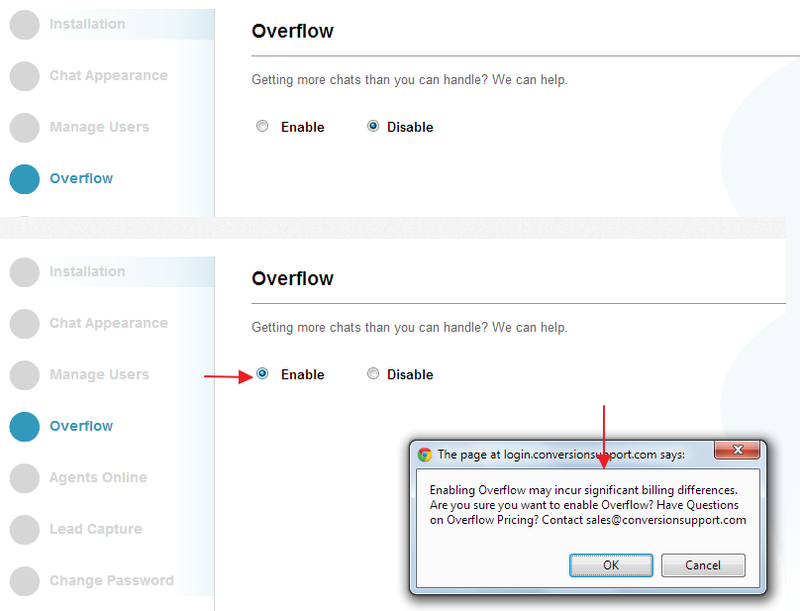 Want to know the pricing structure for availing overflow chats from Conversion Support? Please contact us or write to us at support@conversionsupport.com and we will get back to you with a custom quote for overflow chats.